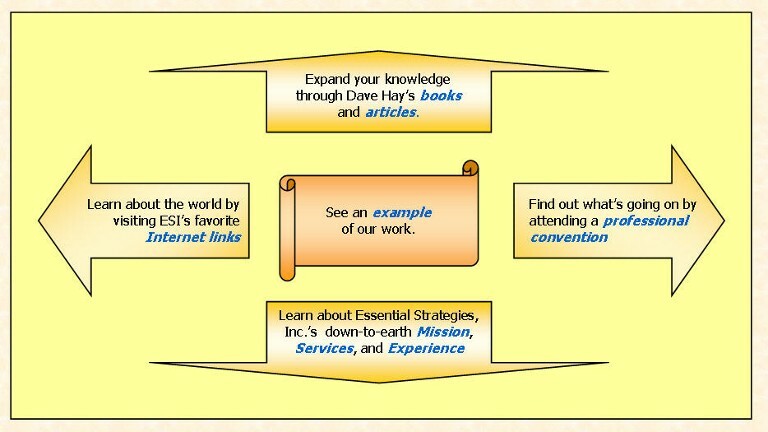 Essential Strategies International is a consulting firm specializing in helping companies use information architecture to enable them to take advantage of the latest technologies, plan their information systems, analyze requirements, and make systems a reality. Essential Strategies International is expert at producing conceptual (semantic and architectural) data models as well as various kinds of process models. These skills are support various dimensions of advanced data management, including strategic planning, requirements planning, and data warehouse design.